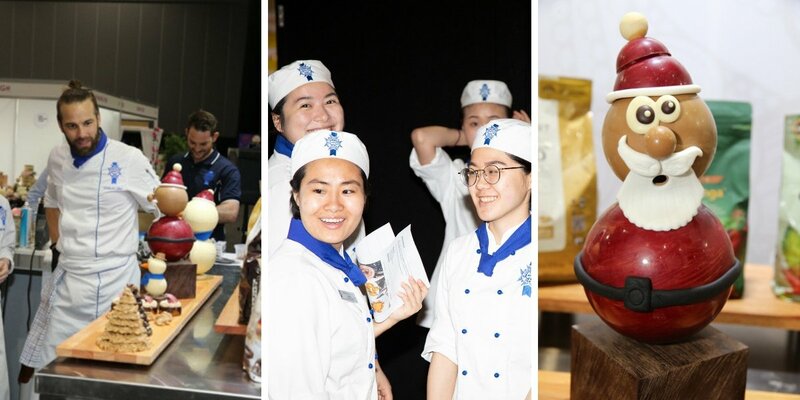 Le Cordon Bleu Chocolate Masterclasses thrilled visitors at Australia’s leading patisserie event, Cake, Bake and Sweets Show in Sydney and Melbourne. Our classes, run by award-winning Le Cordon Bleu chefs were filled to capacity with members of the public passionate about baking, patisserie, desserts and confectionery. 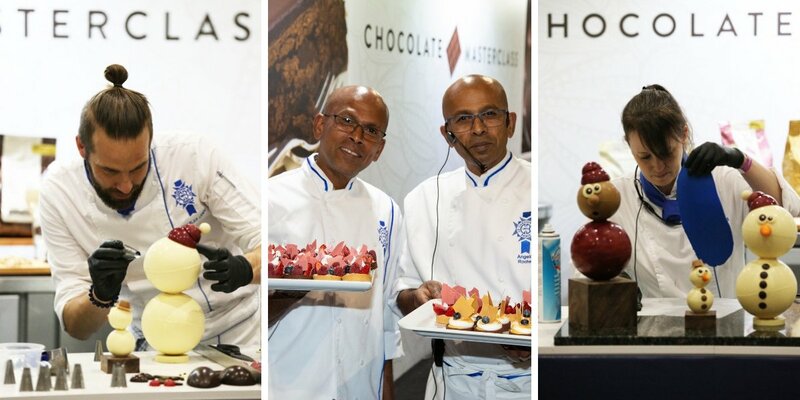 At the event held in Sydney, Le Cordon Bleu chefs created 5 chocolate-themed items including mendiants, choux pastry in ‘gold’ chocolate, and chocolate cups. Le Cordon Bleu Melbourne chefs presented mendiant Christmas trees, chocolate tartlets, ruby chocolate bon bons and Christmas-themed chocolate figurines in their masterclasses. Delicious sweet treats shared by Le Cordon Bleu students were eagerly received by delighted audiences. The highly anticipated Chocolate Masterclasses were run over three days in both Sydney and Melbourne. Each session was filled to capacity, with standing room only, due to the number of visitors watching in fascination as Le Cordon Bleu chefs created their magic.